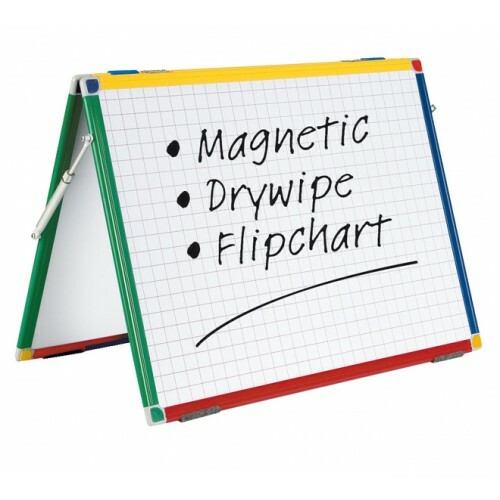 Double-sided magnetic drywipe surface with 25mm gridlines on one side. Hooks included for hanging A2 flipchart pads. 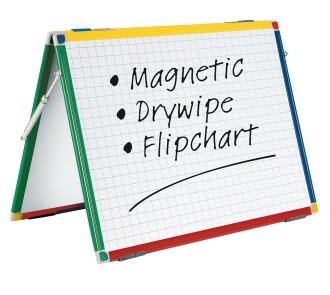 Large A2 size (450 x 600 mm) complete with pen tray.